During a recent exclusive interview with Reality TV World, Natalie talked about her Survivor experience and seemingly volatile relationship with many of her fellow castaways. Below is a portion of what she had to say. Reality TV World: You said in your final words you had no regrets. Looking back on the season as a whole, now that you're able to watch it play out on TV and see how people responded to you, do you still stand by that comment or wish you had done anything differently? Do you wish you had toned things down a little bit? Natalie Cole: Well, you know what? People were responding to the character. There was a lot of good stuff that happened that you don't see. My narrative was one note, over-the-top negative, and it's complicated to explain because one would have to minimally consider managed-contextualized content, orchestrated music that stirs a particular emotion, and creatively-placed soundbites. All of these are mutually inclusive in order to get the effect of viewers' perception. It's a very effect synchrony of efforts, and it's far more powerful than my singular verbal influence that I can share with you at this point to change your mind about what really happened. So all I can do is go with the narrative. It's too powerful. So that's what I've been doing, even in social media, is just saying, okay, I'm playing to what they put out there. It's reality TV; I'm very clear on that. It is what it is. Do people find me to be like that in person? No. That's not who I am. So if I have any regrets, the regret that I have is post-show. I regret that I couldn't celebrate myself being on Survivor, having a watch party. Because I saw in the preview that happened during Ghost Island that I was going to be over-the-top negative. Because I had made a comment about how "everything about me speaks power." What I actually said is that "I realize I have a certain presence. I realize that I'm a strong-bodied person. I'm tall, I'm bigger and I've got intensity in my eyes. My voice is very strong and I speak very directly." What I have found over the years is that people are intimidated. So I'm trying to soften myself in so many ways, like sitting down when I'm speaking with certain people or rephrasing or reframing what I might communicate in a certain way so that I don't come off as brash. I've really tried to work on that in a number of ways down through the years, because I realize everything about me speaks power! Did you hear all of that? No. You heard, "Everything about me speaks power." So I realized from the preview that I was going to get a negative edit. What I didn't realize is that I was going to be set up to be the only true Goliath in Fiji. Reality TV World: Putting yourself in Mike White's shoes, do you think he made a mistake in voting you out? Obviously there are going to be seven Davids and seven Goliaths going forward, so it's anyone's game. Natalie Cole: I think that a couple of people were enamored with Mike and his celebrity. They made the mistake of not targeting Mike early. I thought Mike -- and I also had one other person in mind, [Alison Raybould] -- who should have been targeted very early in the game. But I had no voice, so people couldn't see beyond what they saw that day. So, it remains to be seen whether or not he made a mistake. My thinking, at this point, he's looking like a goat, but that's the kind of person that can slip through and win the money. I just think it was stupid they didn't take Mike out early. Reality TV World: You mentioned how you viewed Alison as a threat but viewers haven't seen much of her in the episodes either, similar to Mike's edit. Natalie Cole: Yup! And that's unfortunate because I felt like Alison was playing a good game. Reality TV World: What was your reaction when you found out Alec Merlino had turned on Natalia Azoqa and voted her out? I'm assuming you were pretty disappointed given you were "Goliath strong." Natalie Cole: I absolutely knew the moment it happened, I said to [Angelina Keeley], "Alec did that." She said, "Oh, no, Alec would never!" And I said, "Alec did it!" [She said], "Oh no, I'm sure one of the Davids had a blah, blah, blah," and I said, "Alec did that! Can't you see?" I said, "The cannibalization has started." She never believed it until after the fact. She was shocked it was Alec when it finally came out. I wasn't shocked because I can read people very effectively and I felt like Alec -- what was interesting is that Alec was close to Natalia. But somehow, my discernment told me immediately -- and I was convicted by it -- Alec made a big move. And it came to pass. 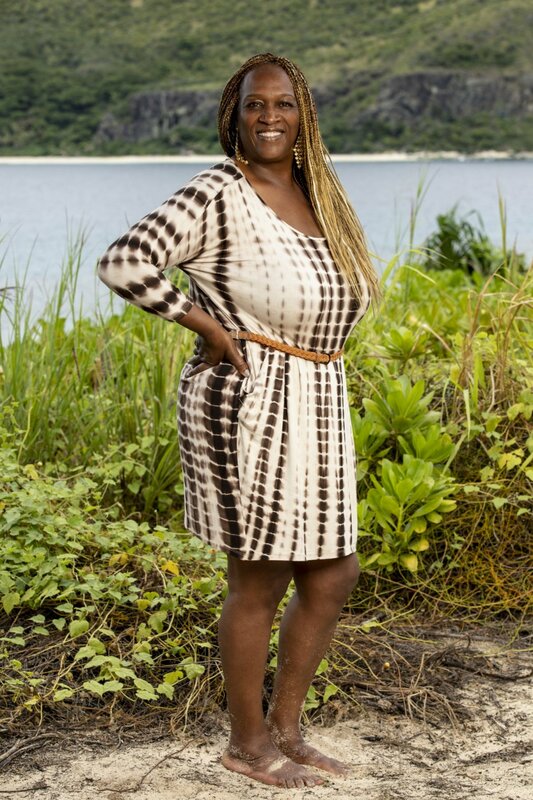 To read the first part of Reality TV World's exclusive Survivor interview with Natalie Cole, click here. And be sure to check back with us soon for the concluding portion.